Malakye's Crowd-Funded blog tracks the newest, most relevant and compelling crowd funding campaigns of companies which are involved in the industries served by Malakye. *Add Comments at Bottom of Page! HEXO+: an intelligent aerial follow camera that works autonomously for you! No pilot, no cameraman, no headache. "Our technology guarantees extra-smooth stabilized camera movements, continuous perfect framing, and creates the possibility for angles that are virtually impossible to achieve with traditional means. Read: you now have the capability to film Hollywood-style aerial shots – and beyond." Want to support Palo Alto-based Squadrone System? Help make it happen for HEXO+ >>> CONTRIBUTE NOW! "The Marton-E bike fuses sustainability and convenience with fashion and design. The battery, resembling a thermos, provides up to four hours of consecutive use. Plugged into a standard wall outlet, the battery can be recharged in less than 3 hours." "The Marton-E provides the rider with a variety of usage options: the e-bike can be ridden manually (on the traditional Shimano 3 gear system) or through a hybrid combination of pedaling and battery operated power. The Marton-E offers city bikers a sustainable transportation solution without the use of oil or gas. Utilizing the electric mode, a rider can arrive to work sweat-free; utilizing the manual mode, a rider can return home while getting some exercise. The Marton-E lets technology work for you." Want to support the Marton-E Electric Bike? Help make it happen for Lorenzo Martone >>> CONTRIBUTE NOW! 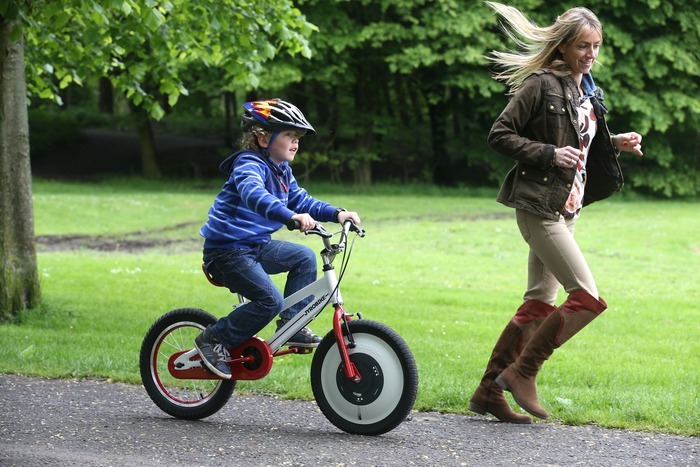 What: Jyrobike - the world's only bicycle that automatically keeps the rider upright & stable, even when they tip or wobble. Why: So kids can learn to ride a bike in just one day! 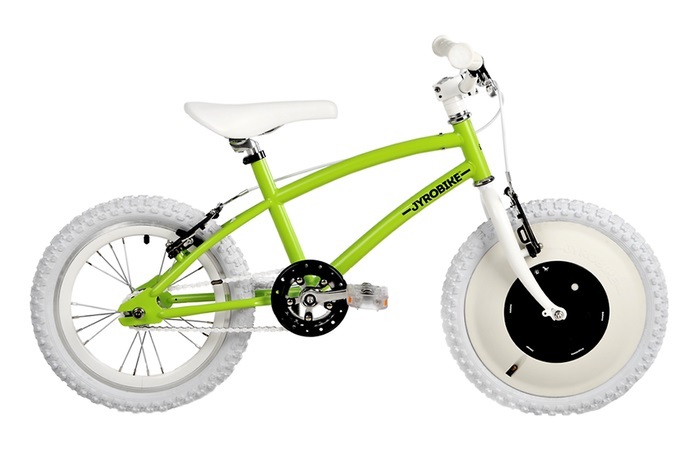 "As a child starts to tip or wobble, a Jyrobike corrects the steering and stabilises both the bike and the rider. As a result children can learn to ride without training wheels (stabilisers) and in the majority of cases learn to ride in one afternoon!" "When people see Jyrobike for the first time they think it's magic." Want to support the world's only bicycle that automatically keeps the rider upright & stable? Help make it happen for Jyrobike >>> CONTRIBUTE NOW! What: The Documentary of CJ & Damien Hobgood is an upcoming feature-length documentary that delves into the lives of these identical twins and professional surfers. 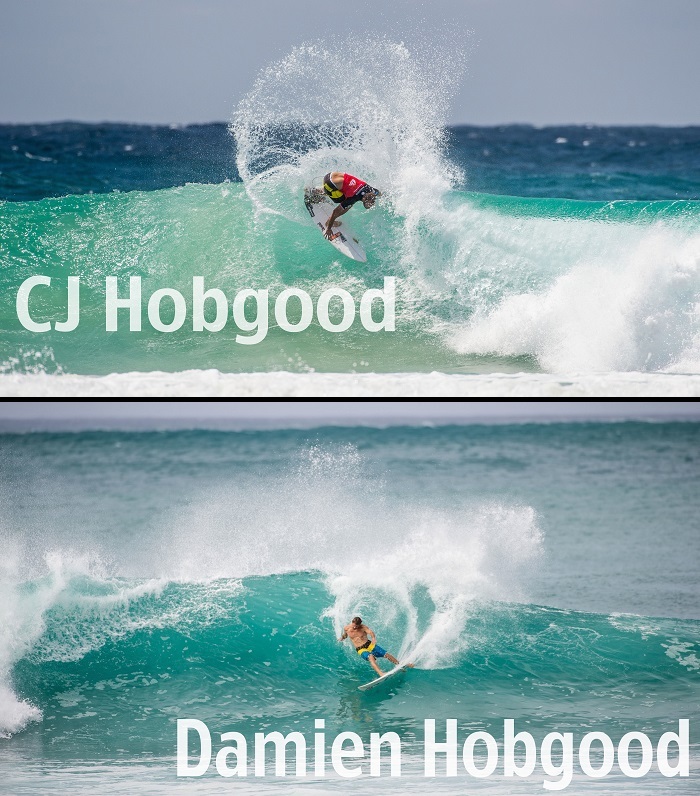 Why: The Hobgood's have been professional surfers for nearly a decade and a half and, for the first time ever, they are both staring at a crossroad in their careers. This is the perfect time to not only recap their past struggle and success, but to document what the future holds for them. "We will delve deep into the sibling rivalry and competitive elements both of darkness and light. The fate that ties them together for eternity. The sibling rivalry that drove them also being the conflict which hindered their growth of personal identity. Digging up answers on what it's been like to live your entire life with a duplicate human being competing for the same dream." "We want to tell CJ and Damien's story to you in the most comprehensive way possible. Although this film will be chock full of exhilarating surfing by the world's best, we are not making another surf video. This is a full fledged feature film documentary with a highly credited crew of Hollywood filmmakers who are ready to dedicate their time and talent to the picture." Want to support director Justin Purser and the Hobgood's? 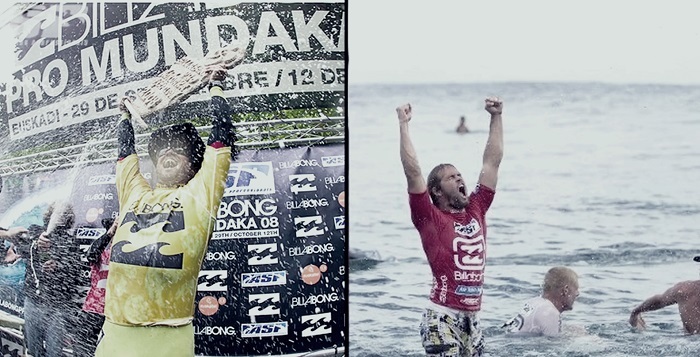 Help make it happen for The Documentary Of CJ & Damien Hobgood >>> CONTRIBUTE NOW! Why: To share the legacy of Tom Blake, a man you may have never heard of, but who has likely changed your life, to continue to influence people across the world. "Surfing with Tom is the story of unknown surfing and lifesaving pioneer Tom Blake: a man who changed millions of lives and then walked into obscurity." "Avid surfers and passionate stewards of the environment, Kenneth Cole, John Ruebartsch, and Eric Gietzen were inspired to create this film in a way that conveys the same dignity, honesty, and purpose that marked Tom Blake's life." Want to support Surfing with Tom? Help make it happen for The Great Lakes Surf Collective >>> CONTRIBUTE NOW! Why: To hang, store, clip and organize anything you want. Tyny Tools: A collection of small accessories to attach and organize the many things we carry around. "We started Tyny Tools to create unique, innovative and simple solutions and accessories for people's everyday problems." Want to get your hands on tools for attaching, hanging and orgainizing virtually anything? Then show your support to help make it happen for Tom Newth's Tyny Tools >>> CONTRIBUTE NOW! Why: Swim shorts that don't get wet? Frank Anthony Swimwear uses Hydrophobic Nanotechnology to make it possible. "We found the leading textile manufacturer who specializes in high performance nanotechnology fabrics operating out of Switzerland, and focused extensively on creating the most visually appealing and scientifically advanced pair of swim shorts in the world." "Our shorts are resistant to all water based substances including coffee, soda and fruit juice. This also means it's resistant to any forms of staining you would receive from said liquids...The Hydrophobic technology will last the entire life of the shorts. We have tested the garment in chlorine and salt water and they have no effect on the Hydrophobic Nanotechnology Fabric the shorts are made out of." 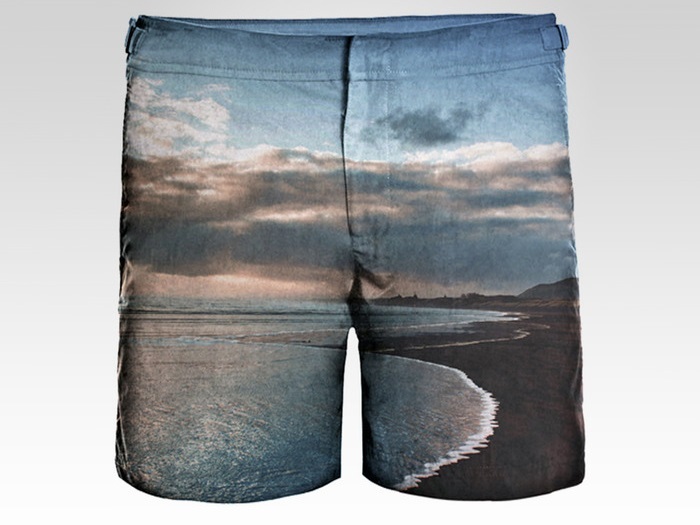 Want to own your own pair of shorts that don't get wet while lending support to Franky Shaw? Help make it happen for Frank Anthony Swimwear >>> CONTRIBUTE NOW! Why: Camp Rockaway means you don't have to end your day at the beach with a hot subway ride home. "Recreational camping in Rockaway was popularized at the turn of the century. The first wave of development brought bathing clubs (basically beach clubs), boardwalks, hotels, tent communities and roller coasters to Rockaway Beach in the early 1900's...Today, a new wave of creative business owners are rebuilding and revitalizing Rockaway. 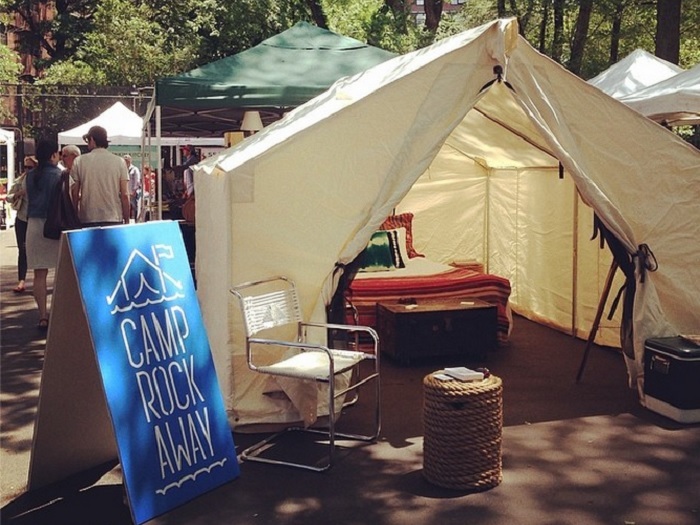 Re-imagined for a new century, Camp Rockaway fuses beach camping heritage with modern amenities." Turn Your Beach Day Into a Beach Stay. Want to support Camp Rockaway? Help make it happen for the Kent Johnson >>> CONTRIBUTE NOW! 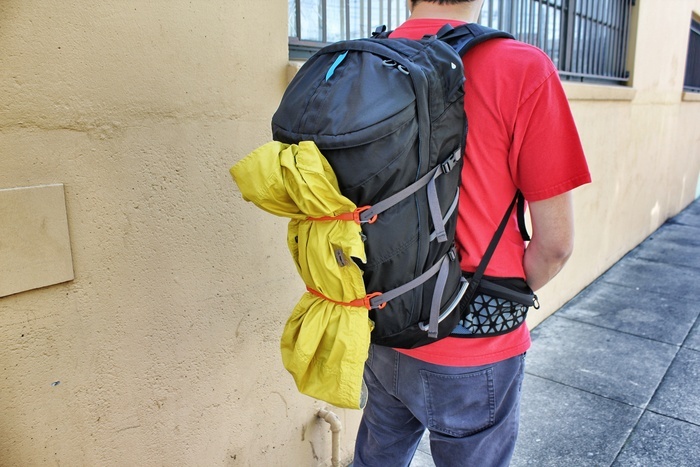 Thoughts on Kickstarter from Korduroy.TV, MHM Gear, and Lumi Co.